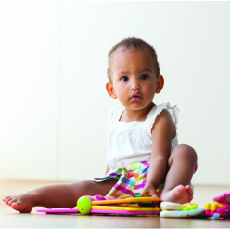 Early Intervention is a collection of services for families of infants and toddlers who have delays in development or are at-risk for significant developmental delays. Child and Family Connections (CFC) is the local system point of entry for all children birth to three. There are 25 Child and Family Connections offices covering the state of Illinois, each location covers a specific geographic area. Our staff focus their efforts on supporting the needs of families enrolled in the Early Intervention system. We practice philosophies to facilitate our continued success that include a sense of individualized care and a proactive nature and collaborative partnerships within the community. Our team focuses on delivering care based on the individual needs of the infants, toddlers and families we serve. Upon referral, a service coordinator is assigned to the family to begin the process of eligibility determination. Planning a smooth transition is very important for your child and your family. You are your child's best advocate! Learn more about the responsibilities of Child and Family Connections. Who's Who at Child and Family Connections? Learn more about the roles of a service coordinator, parent liaison and Local Interagency Council (LIC). 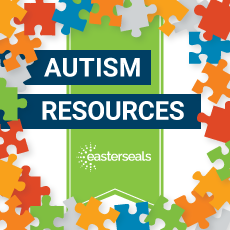 Learn more about other helpful resources. Children grow and learn at different rates. Read about the Ages and Stages from prenatal through adulthood. Located:8 blocks WEST of Harlem Ave. 1 block SOUTH of 171st St. The Illinois Early Intervention Program is administered by Easterseals and is funded by the Illinois Department of Human Services.